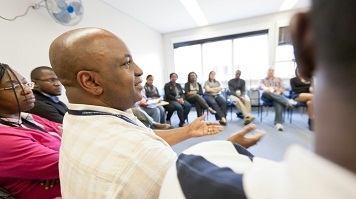 As the need to increase patient and public involvement in the delivery of health and social care services increases, the new People's Academy will become a hub for people who have experience of health and social care services at LSBU. Those who are engaged in the activities of the School - including members of its committees, those who have been participants in its research, and who have had a hand in developing the curriculum and teaching will be eligible for membership. These individuals will then pass on their knowledge to new members, building a renewable community based on participation and engagement with the university. By bringing in the opinions of health and social care users and their carers on the services that affect their lives, the aim of the Academy will be to develop a generation of professionals who appreciate the importance of engagement with patients and the public in education, healthcare delivery and quality improvement. Professor of Mental Health Nursing & Practice Innovation Sally Hardy - who is spearheading the project for LSBU - said: "There is currently no other People's Academy model in the higher education sector as most exist in employment and community-focused initiatives. "With the inclusion of peer support and consumer opinion in measuring and monitoring quality, the new People's Academy at LSBU will capitalize on improved health and wellbeing for all, as we all have a role to play in shaping how we modernise health and social care services. "Teaching at LSBU has always been informed by our research, and the Academy can offer a recognized place to hold and recruit to focus groups, seek research advice and other academic activities from the earliest stages of projects developments, from a user and carer perspective. "Our vision is to become a recognised resource for people participation in health and social care that helps to tackle real life issues from the people who know first-hand about using those services." Learn more about the School of Health and Social Care.